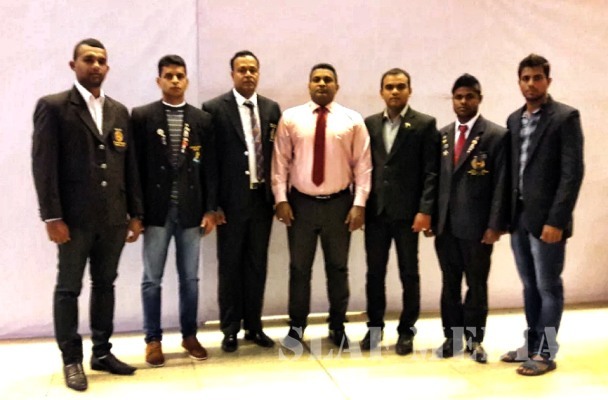 SLAF ‘Unifight’ players as part of the Sri Lankan National Team, Leading Aircraftman Senevirathna ASCD and Leading Aircraftman Lakmal W who took part in the second Indian International Grappling Championship 2018 won the third and fourth place respectively, under 92 Kg and 66 Kg categories. The championship was held from 04 December to 10 December 2018 in New Delhi, India. Players from six countries including India, Nepal, Sri Lanka, Russia, Italy and Norway participated in the Tournament. The Sri Lankan team comprised of 2 Air Force and 2 Special Task Force players.